Read through the obituaries published today on poststar.com. 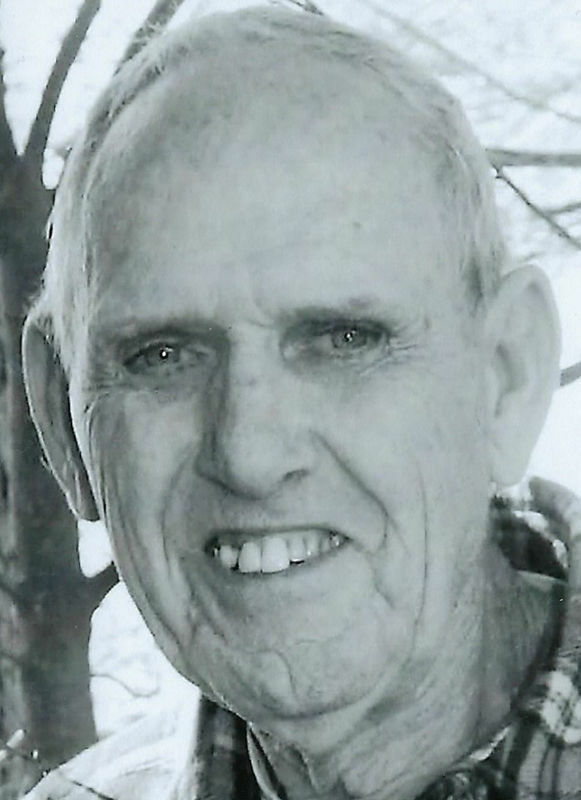 SOUTH CORINTH — Arthur L. Baker, 84, of Holmes Road, passed away Friday, April 12, 2019 at his home. Born on June 23, 1934 in Corinth, he was the son of the late Ernest and Ada (Potter) Baker. Art attended Corinth Central Schools. He married Verna Colson on June 5, 1956 in Corinth, and the couple resided on Holmes Road for many years. She passed away Jan. 10, 2015 following 58 years of marriage. Art joined the U.S. Army in 1953, serving during the Korean War, until his discharge in 1956, and fought in several battles during the war. He worked as a self-employed contractor in the Corinth area for many years, doing remodeling, additions and new construction. Art was an avid hunter and fisherman and also enjoyed gardening, and watching the New York Yankees. Besides his wife and his parents, he was also predeceased by two brothers, Alvin Baker and Edward Baker. Survivors include his children, Shirley Kopa (Wayne) of Burnt Hills, Wayne Baker (Cynthia) of Corinth and Susan Stewart of Corinth; six grandchildren, Eric Baker (Donielle Bolton) and Michael Baker (Gwen), who both were raised by Art, of Corinth, Nathan Baker (Brielle) of Corinth, Alanna Gill (William) of Corinth, Jesse Kopa of Burnt Hills and Leanza Kopa of Burnt Hills; nine great-grandchildren; two brothers, Raymond Baker (Ethel) of South Corinth and Donald Baker (Cindy) of Corinth; and many nieces, nephews and cousins. At Art’s request, services are private and at the convenience of the family. The family wishes to thank the Town of Corinth EMS and the Corinth Fire Department, and the Saratoga County Sherriff’s Department, for their kind and professional response. The family suggests that in lieu of flowers, memorials take the form of donations to the American Cancer Society, at www.cancer.org. Arrangements are under the direction of the Densmore Funeral Home, Inc., 7 Sherman Ave., Corinth. 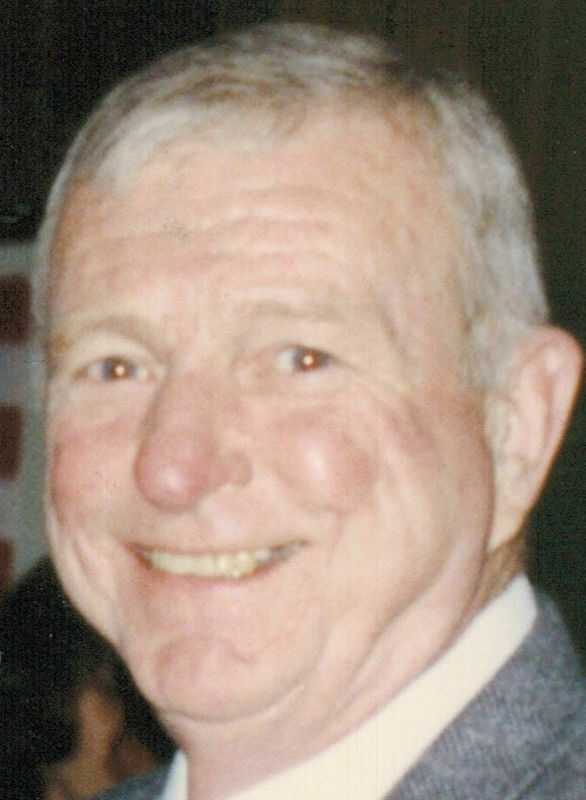 SOUTH GLENS FALLS — Patrick Boyle Jr., 81, passed away on Friday, April 12, 2019 at Glens Falls Hospital, surrounded by his loving family. Born on Feb. 19, 1938 in Brooklyn, he was the son of the late Patrick Boyle Sr. and Ellen (Niland) Boyle. Pat attended high school in Queens. In 1956, Pat enlisted in the U.S. Navy and served until 1960. On June 26, 1965, Pat married the love of his life, Debra Hayes, at St. Joseph’s Church in Fort Edward. For many years, Pat was a communicant of St. Joseph’s Church. For many years, Pat worked for the New York City Police Department until changing jobs working for the U.S. Postal Service in Colonie until his retirement. Pat enjoyed walking, traveling with his wife to many different places, including Virginia Beach, Myrtle Beach and Hawaii. Most of all, he loved spending time with his family. In addition to his wife of 53 years, Debra; Pat is survived by his children, Colleen Boyle of Glens Falls, Teresa Brennan of Virginia Beach and her son, Ryan Brennan, and Patrick Boyle and his wife, Kristine, of Gansevoort; and his step-children, Tyler and Ashley Deluca; his siblings, Mary Boyle of Glendale, Thomas Boyle of Phoenix, Arizona and Brother Lawrence Boyle, Order of Saint Francis of Queens; and several nieces, nephews and cousins. Friends may call from 4 to 6 p.m. Tuesday, April 16, at M.B. Kilmer Funeral Home, 136 Main St., South Glens Falls. A funeral Mass will be celebrated at 10 a.m. Wednesday, April 17, at St. Joseph’s Church, 164 Broadway, Fort Edward. Rite of Committal will follow the funeral Mass at St. Mary’s Cemetery, South Glens Falls. Memorial donations in Pat’s name can be made to the Alzheimer’s Assoc. Northeastern NY Chapter, Pine West Plaza Building 4, Suite 405, Washington Ave. Ext., Albany, NY 12205. The family wishes to extend a special thank you to the doctors, nurses and staff of the Glens Falls Hospital ICU along with the Respiratory Tech. To view Pat’s Book of Memories and post online condolences, please visit kilmerfuneralhome.com. September 28, 1946 — April 8, 2019 QUEENSBURY — Barbara A. Radke, 72, passed away Monday, April 8, 2019 at Glens Falls Hospital. Born Sept. 28, 1946 on Staten Island, she was the daughter of the late Donald and Maxine (Davis) Sharlan. She worked for General Electric for many years as a computer programmer. Barbara was a member of the Glens Falls Kennel Club for 18 years. She severed as the rally obedience instructor for many years teaching several classes each week. She was friend and mentor to many and said to be a “gift.” Barb was someone who made a difference in the world. She was the trial chairperson for several rally trials. Her great organizational skills and attention to detail made them all successful. Barbara was dedicated to her dogs, her beloved Siberian Huskies, Zorro and Zena. She trained and showed them in rally obedience, earning many titles, advanced titles and awards including high score in trial achieving perfect scores. Her dogs were the most important things in her life. She was an independent spirit, a generous friend and will be greatly missed. In addition to her parents, Barbara was predeceased by her sister, Pamela Carroll. Left to cherish her memory include one niece, one nephew and several cousins. At Barbara’s request, there will be no calling hours. A funeral mass will be conducted at 11 a.m. Wednesday, April 17, at Our Lady of Lourdes Church, 1114 U.S. 9, Schroon Lake. Rite of Committal will be private and at the convenience of the family. For online condolences, please visit www.edwardlkellfuneralhome.com. DAY — Ellen H. Crooks, 96, of Abeling Lane, passed away Saturday, April 13, 2019 at Saratoga Hospital, following a brief illness. Born on Oct. 12, 1922 in Chicago, Illinois, she was the daughter of the late Charles and Viola (Hines) Joyce. Ellen graduated from Hadley-Luzerne High School in 1941. She married Joseph S. Crooks on June 5, 1949 in Scotia, and the couple resided in Glenville for many years before moving to Clearwater, Florida, and in the town of Day. He passed away July 6, 1987 following 38 years of marriage. Ellen was employed for many years at General Electric in Schenectady in the accounting department until her retirement at age 62 in 1984. She was a longtime member of the Rockwell Falls Presbyterian Church of Lake Luzerne and the William J. Varney American Legion Post 862 Ladies Auxiliary for several years. Ellen enjoyed swimming, gardening, reading, bird watching and her family, especially her grandchildren and great-grandchildren. Survivors include two children, Elaine J. Crooks of Day and Joseph R. Crooks of Lake Luzerne; four grandchildren, Shane Crooks (Kiley) of Corinth, Aileen Crooks (Travis Nelson) of Corinth, Jason Crooks (Courtney) of Stony Creek and Amy Crooks of Saratoga Springs; seven great-grandchildren, Kilee, Brooke, Keene, Gabrielle, Liam, Livia and Trinity; and several cousins. Friends may call from 5 to 7 p.m. Wednesday, April 17, at Densmore Funeral Home, Inc., 7 Sherman Ave., Corinth. A private graveside service will be held at Day Center Cemetery at the convenience of the family. The family wishes to thank Kindred Health Services, and the staff at A3 at Saratoga Hospital for their kindness and compassionate care given to Ellen during her illness. The family suggests that in lieu of flowers, memorials take the form of donations to the William J. Varney American Legion Post 862, 821 Lake Ave., Lake Luzerne, NY 12846. NORTH CREEK — Hazel A. Minder, 94, of Fairview Avenue, passed away Friday, April 12, 2019 at Elderwood at North Creek. Born at Glens Falls Hospital Jan. 16, 1925, Hazel was the daughter of the late Percy and Edith Allen. Hazel then met and married her beloved husband of 57 years, Joseph G. Minder on Dec. 8, 1948 in North Creek; at which time she started her full-time career as a loving mother, wife and caregiver. Above all, Hazel was a devoted, loving mother, wife and grandmother, always demonstrating a sincere, unselfish concern for others. Her positive attitude, caring manner and faith are an inspiration to those fortunate enough to have known her. She cherished time spent with her family, especially her grandchildren and great-grandchildren. She especially enjoyed her annual summer trips to Maine, being able to take one last trip this past summer at the age of 93. In addition to her parents, Hazel was predeceased by her husband, Joseph; brother, Leo Allen of Plattsburgh; and sister, Myra Woodward of North Creek. Survivors include her sons, Robert J. Minder (Eileen) of South Glens Falls and Jack T. Minder of North River; her brother, Roger Allen (Mary Ann) of Las Vegas; her grandchildren, Justin R. Minder (Sandra) of Albany and Lindsey A. Minder of Boston, Massachusetts; great-grandchildren, Linnea and Colvin Minder of Albany; sister in-law, Marcia Minder of Palm City, Florida; along with several nieces and nephews. Friends may call on Hazel’s family from 12 to 2 p.m. Friday, April 19, at Alexander Funeral Home, 3809 Main St., Warrensburg. A funeral service to celebrate her life will immediately follow the visitation at 2 p.m. at the funeral home. QUEENSBURY — Cecil Leland “Sonny” Hart Jr., 74, passed away April 11, 2019 at home, surrounded by his loving family after a five-year courageous and stubborn battle with cancer. Born Oct. 14, 1944, he was the son of the late Cecil L. Sr. and Elsie Townsend Hart. Besides his parents and his wife, he is predeceased by his sister, Virginia “Jean Ann” Allen; and his brother, William “Bill” Hart. Sonny started his career as a meter reader for Niagara Mohawk/National Grid in 1965. He later became a lineman and retired not once but twice! Sonny enjoyed restoring old cars, playing golf and living life to the fullest. He was always on the go. Helping others was his true nature. He would give the shirt off his back if it was warranted. In 1987, he married his soul mate, Gail Breault, and together they shared 30 years until her sudden death on Oct. 9, 2017. Sonny is survived by his mother-in-law, Mary Stewart; his children, Steven and Wendy Hart, Jeffery and Alice Hart, Statia Hart, Jeremy and Abby Hart and Tara Hart; and his stepchildren, Tammy and Sam Greene, Clinton “Joey” Breault and Gordon and Katee Breault. He is also survived by his sister, Deb (Bill) Burnham; as well as 15 grandchildren, 15 great-grandchildren, and several nephews, nieces and cousins. The family would like to thank all of the Glens Falls Hospital CR Wood Cancer Center staff, Dr. Gillani, Elizabeth Reinhardt, PA, Dr. Choudry, Dr. Evans and Bill Fielding, PA, for your care and kindness through his journey; Kerrie’s Diner’s staff for keeping him fed and being his “other” family; Cronin’s Golf friends; and the High Peaks Hospice staff, Patty, Jennifer, Jen and Phyllis for helping him and the family through this journey. He touched so many people throughout his life, if we didn’t mention you, know he loved and appreciated you all. Friends may call from 10 a.m. to noon Wednesday, April 17, at Baker Funeral Home, 11 LaFayette St., Queensbury. A funeral will be held immediately following with the Rev. Bill Church officiating. In lieu of flowers, the family requests that donations be made to the American Cancer Society, 959 Route 9, Queensbury, NY 12804; The Arthritis Foundation, 1355 Peachtree St. NE Suite 600, Atlanta, GA 30309; or a charity of one’s choice. Condolences can be sent to www.bakerfuneralhome.com or directly to the Baker Funeral Home. A beautiful, loving, giving man, always with a smile, hug and, if you were really special, a piece of candy! A father’s love is a “Love Without End, Amen.” Love you daddy! FORT ANN – Grace M. Heath, 80, passed away peacefully at home, surrounded by family on Friday, April 12, 2019. Born on Aug. 3, 1938 in Troy, and raised by her adoptive parents, Ralph and Helena (Brod) Barringer. For many years, Grace worked as a C.N.A. at the Indian River Nursing Home in Granville, where the owner and patients appreciated her solid work ethic and great patient care. Nearly 50 years ago, Grace married John Heath. Together they share a daughter, Tammy Hermance and her husband, Jody, of Granville. Having both been previously married, they blended families that include her children, Jay Rescott and his companion, Shannon DeKalb, of Granville, Jody Severence and her husband, Lloyd, of Florida and Jeff and Tammy Rescott of Granville. John added his five boys, Rodney and Kim of North Carolina, Randy and Doreen of Johnsburg, Reggie and Sandy of Glen Lake, Rusty and Jody of Hartford and Richard and Beth Welch of Fort Ann. With nine children, there are many, many grandchildren and several great-grandchildren. Grace was also survived by a brother, Joe Pfieffer and his wife, Joan Arizona; and a sister, Lana Lanese and her husband, Al, of Albany. In addition to her parents, she was predeceased by a brother, George Pfieffer. Family was the most important thing to Grace and felt blessed to have such a large one. She was lucky to see many of her grandkids almost daily. Grace had been a member of the Whitehall Elks Club and the Flying Farmers of America. Grace enjoyed camping at Lake St. Catherine or taking the helm of the motorhome and leading off on an adventure. An annual trip to the Daytona 500 started in the days when they stayed in the same motel as many drivers. Over time, much like the cup drivers, they began making the trip in the motorhome. In her “slow” times, she loved maintaining her gardens and sewing. A true seamstress, she could create “Fairy Tale Like” gowns or simply replace a button. A funeral service will be held at 6 p.m. Monday, April 15, at the Robert M. King Funeral Home, 23 Church St., Granville, led by Pastor Richard St. Jock. Friends may call at the funeral home from 4 until 5:45 p.m.
To leave an online condolence, please visit robertmkingfuneralhome.com. Clifton F. 'Cliff' Howard Jr.
GREENWICH — Clifton F. “Cliff” Howard Jr., 69, “Bompa,” passed away unexpectedly Thursday, April 11, 2019 surrounded by his loving family and dogs. He was born March 15, 1950 in Glens Falls, to the late Clifton and Cora Pelkey Howard Sr.
Cliff graduated from Hudson Falls High School and immediately joined the Navy, he served on the USS Harold J. Ellison as a gunners mate E-5 2nd class. He married the love of his life, Christine Ingalls on Feb. 14, 1970 after their fourth date, together they had three children. He loved his children and grandchildren dearly. Cliff served as undersheriff for eight years with the Washington County Sheriff’s Department and was with them for more than 20 years. He was commissioner of the Greenwich Police Department and even graduated from the FBI academy in Quantico. He loved animals, golfing, playing his guitar. all types of food, especially pizza and anything snack worthy, camping, fires, food and beer. Everyone was always welcome in his home and he lived by the open-door policy. In addition to his parents, he was predeceased by his brother, Blayde Howard; and sister, Belinda Howard. Survivors include his loving wife of 49 years, Christine Ingalls Howard; his children, Clifton (Nicky Sloan) F. Howard III of Greenwich, Andrea (Donna Estabrook) Howard of South Glens Falls and James (Jennifer) Howard of Stillwater; his grandchildren, Taylor, Lindsay, Derek, Dylan and Mason Howard; two dogs, Tess and Bella; grand-puppy’s, Sassy and Shelby; his siblings, Raymond (Janine) Howard, Eileen Weeks, Teri (Keith) Summers, Lorraine Westerman and Melissa MacDuff; several nieces, nephews and cousins and the Queens Village camping family. Graveside services followed by interment with full military honors will be held at 1:30 p.m. Friday, April 19, at the Gerald B.H. Solomon Saratoga National Cemetery, 200 Duell Road, Schuylerville. Donations in Cliff’s memory may be made to the American Legion, 72 Pearl St., Hudson Falls, NY 12839. Online condolences and messages to the family may be made at www.flynnbrosinc.com. MOREHEAD CITY, N.C. — Robert Henry Poucher, 87, of Morehead City, passed away Thursday, April 11, 2019 at Carteret Health Care. His funeral service will be held at 11 a.m. Monday, April 15, at Temple Baptist Church in Morehead City, officiated by Dr. Terry F. Johnson. Visitation will be one hour prior to the service. Interment will follow at Gethsemane Memorial Park. Bob lived a remarkable life, graduating from Fort Ann Central School in 1950, before attending Oswego State University. He served in the U.S. Marine Corps as an aircraft engine mechanic during the Korean War, reaching the rank of Staff Sergeant and flew as a crew member on transports in combat zones. Bob met the love of his life, Velma Conway, while stationed at Cherry Point, North Carolina. Upon his discharge, they married and moved to Fort Ann, the beginning of a wonderful 63-year marriage. Bob served as plant engineer and supervisor of NIBCO of New York in South Glen Falls, during a 34-year career. Upon his retirement in 1989, Bob and Velma moved back to Morehead City, North Carolina, where they have resided for many wonderful years. He is survived by his wife, Velma Conway Poucher of the home; son, Daniel Robert Poucher and wife, Beth, of Granville; grandchildren, Bethany Faith Poucher Valle-Downs and Hannah Joy Poucher; great-grandchildren, Audreyanna Valle-Downs and Caleb Daniel Valle-Downs; and brothers-in-law, Harry Conway and wife, Ernestine, and Mike McGuinn and wife, Janet; and many other dear family members and friends. Arrangements are under the care of Munden Funeral Home and Crematory, Morehead City, North Carolina. WHITEHALL — Carol Anne (Manell) Senecal, 85, of Whitehall, passed away at her home in Whitehall on April 11, 2019. Carol was born on Feb. 18, 1934 in Whitehall, the daughter of the late Joseph Eugene Manell and Mary Louise (Robetor). She graduated from Whitehall High School in 1951, and married the love of her life, Wayne Robert Senecal on Aug. 1, 1954. Carol and Wayne had five children, Christopher Senecal, Catherine Tobin, David Senecal, Michael Senecal and Karen LeMin; and numerous grandchildren, nieces and nephews. She was predeceased by one brother, Alan Bruce Manell; and her parents, Joe and Louise Manell. Carol was one of the first female school bus drivers for the Whitehall School District and enjoyed training new drivers. She was Whitehall Town Clerk and Washington County Archivist for many years. For the past 18 years, Carol was Whitehall Village and Town Historian and was the curator of the Historical Society Whitehall Research Library. Carol loved gardening, horses, genealogy and scuba diving. She also loved to travel with her husband, Wayne, visiting every U.S. state, all the Canadian provinces, Mexico, Guatemala, Costa Rico, Panama, Columbia, Ireland and several islands in the Caribbean. Calling hours are from 5 to 7 p.m. Monday, April 15, and 10 to 11 a.m. Tuesday, April 16, prior to the memorial service at 11 a.m. at the Jillson Funeral Home in Whitehall. Family burial following at Our Lady of Angels Cemetery. YORKTOWN, Va. — Doug Goodspeed, 73, of Yorktown, Virginia, passed away Wednesday, April 10, 2019, with his loved ones by his side. Born June 25, 1945 in Moriah, New York, he was the son of Walter F. and Muriel F. (Kilburn) Goodspeed. Doug is survived by his wife; four children, two grandchildren, one great-grandchild; a brother, and several nieces, nephews, and cousins. Per the family’s request, there will be no calling hours or services. A full obituary can be viewed at www.bakerfuneralhome.com. A full obituary will appear in Monday’s edition of The Post-Star. QUEENSBURY — Al Finch, long-time resident of the Queensbury area, passed away peacefully, Tuesday, April 9, 2019. Per his request, services will be conducted privately at the convenience of his family. His earthly remains will be interred in Pine View Cemetery in Queensbury. Al’s complete obituary will appear in a future edition of The Post-Star. GLENS FALLS — Althea M. Wilson, 38, passed away on Wednesday, April 10, 2019. Arrangements are under the direction of Singleton Sullivan Potter Funeral Home, Queensbury. A full obituary will appear in a future edition of The Post-Star.